I turned 50 years old this past June. 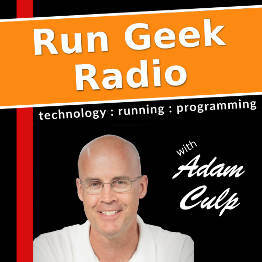 Yep, I’m officially “over-the-hill” yet I often receive comments of looking years younger, typically followed by, “Well, you’re a runner, so…” I know they’re just being nice, but I do know many devoted runners who may not fit these comments. To be frank I’ve seen some pretty old looking runners who are not old at all. I mean, sure we runners tend to be fit from the hours spent running, but we are also outdoors in unfavorable weather quite a bit which doesn’t lead to younger looking skin. So now I’m sure your wondering, “What’s the difference? Why do some folks look older than others?” The TL;DR answer: moisture and protection. How do I take care of myself in such a hot and sunny place like Florida…year round? Read on. In Florida, also known as the “Sunshine State“, we get around 230 days of sunshine each year. And since I run around 5 days a week (260 days a year), and typically in the afternoon, I get an unusually large amount of sun compared to most. It is VITAL that I protect my skin from damage. Not only to protect my skin from cancer and other nasty things, but also to protect it from drying out, burning, and looking like leather. I religiously wear sunscreen…everywhere! Head, neck, face, arms, legs, EVERYWHERE that gets sun. This is not as easy as it sounds, because I sweat a lot when I run. With the amount of running I do my body has become very adept at dumping tons of water through my pores. So it is important that the sunscreen I wear be as sweat proof as possible. So, please shop around and find one that works best for your skin type. I used to wear Coppertone Sport, but lately I’ve found that the Walmart generic Equate brands work just as well for around half the price when I buy the multi-pack. Now I typically use SPF 30, but skin types vary and you may need to use something higher to achieve the same protection. Lately I’ve found that sunscreen alone has not been enough. Especially on my forearms and head, because I shave my head bare, where I have noticed brown spots over the past year. So I’ve resorted to a daily moisturizer as well. 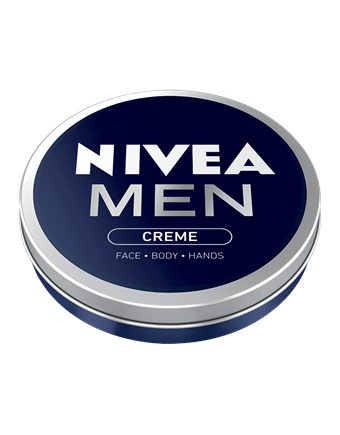 After some research I started using Nivea Creme for Men. It doesn’t leave my skin feeling greasy, absorbs quickly, and has a nice masculin scent. There is also a creme that might work well for women and children, though I’ve not tried it. Clothing also plays a part of overall protection of skin. I have not paid close attention to this, but I’m considering adding a hat to protect my bald head and also refraining from sleeveless shirts. I’ll add more later if I decide to move forward with anything. Sunglasses are also important to protect my eyes, but also to protect the corners of my eyes where “crows feet” typically form. The UV protection afforded by sunglasses can also help prevent sunburn in these area. Chafing is painful and is another cause of skin problems. This is typically caused when skin surfaces rub together, or clothing and other things rub continuously in the same spot. So I resort to using Body Glide on those spots where problems occur. I hope this helps others. Please protect yourself from the sun. It is vital to life, and warmth, but it is not your friend on runs.